I had made the decision to stay home and care for my daughter, who had special medical needs at the time, and my husband and I soon found ourselves struggling to meet the financial needs of feeding and providing medical care for the 200+ mouths on the sanctuary. I was inspired to form a social venture, Crazy K Farm Pet and Poultry Products, LLC, selling the unique inventions I had designed to make life better for our own animals. My goal was simple: to produce products that improved the lives of animals, to offer consumers the highest quality pet and poultry products on the market at reasonable prices, and to donate a portion of the proceeds to Crazy K Poultry and Livestock to support the many animals on the sanctuary. I started with the Hen Saver. As many chicken owners can attest to, when roosters mate with hens, the hens often sustain feather loss and cuts and gashes on their backs and shoulders that can lead to infection, picking, cannibalism and even death. Hen aprons are devices worn by hens to protect their backs from roosters during mating, and have been around, in one form or another, almost as long as the chicken has been domesticated. A good hen apron can establish a level of protection for the hen against injury while affording prompt healing and feather re-growth to take place in chickens with existing wounds and feather loss. The level of protection afforded by a particular apron depends on the quality of the device: the type of material, the construction, and how well it meets the needs of the chicken, such as providing a comfortable and proper fit. 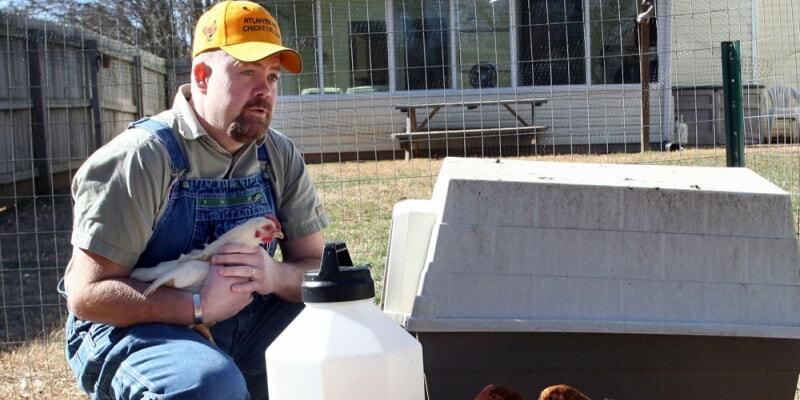 We first tried to help the hens on our sanctuary by using inexpensive aprons that we had purchased from folks on the internet, from poultry-supplies sites, on various chicken forums, and at a variety of different poultry shows and meets. Although these aprons offered our hens some measure of protection against our roosters, none offered protection for our hen’s shoulders, it was very difficult to find aprons designed specifically to fit our small bantams or large standard hens. Further, they did not stand up to the battering imposed on them by weather, frequent dust bathing, and the general frolicking and feeding activities of our active pastured chickens. In fact, one was made out of some sort of plastic that offered no traction whatsoever, and one day a rooster slid off a saddle and slashed the sides of one of our hens open, resulting in a costly visit to the veterinarian. After limited use, the aprons we had purchased invariably bleached out and tore, or the straps became unsecured, or the seams came apart, or the fabric frayed. Frequent replacements became the norm. We were spending a small fortune buying hen aprons for many of our 100 chickens. Out of frustration with existing hen apron designs (and to save a significant amount of money), we began to experiment with a variety of constructions, fabrics, and styles in order to create a hen apron that could endure the rough treatment by our chickens, their pastured environment, and the brutal Texas weather. After we lost several of our chickens to chicken hawks, including one of our "hawk smart" Ameraucanas, we studied the pattern and locations of the wounds created by the hawks’ talons and further designed our hen apron to cover those areas of our chickens' backs with a triple-layer, highly puncture-resistant construction that tended to fold laterally to inhibit the ability of a hawk to gain secure purchase of the chicken—we even added “predator eyes,” which I designed with the help of a raptor specialist. After intensive hands-on research conducted by our “girls in the field” and many cycles of development and redevelopment, we finally hit upon a high-quality hen apron that was a huge improvement over existing designs: a far more resilient and durable apron that provided a more custom and comfortable fit for our chickens; one that stood up to the most amorous of our roosters; offered potential protection from chicken hawks to both our hens and our roosters; and that protected our hens’ shoulders as well as their backs. Our girls were saved! They went from looking ready for the pot, to looking like they had never lost a feather. We trademarked the name Hen Saver and patented the design (we currently have several design and utility patents, including the predator eyes.) Our patented Hen Saver is unique in that: it has a notch at the base to accommodate the chicken’s tail feathers; two different strap styles - a single-strap style better suited for less-active confined, cooped, pet, show and breeding chickens, and a two-strap style intended for more active free-ranging or pastured backyard and commercial chickens; finished-seam stitching that secures a layer of natural, breathable batting between two layers of highly rip-, tear- and puncture-resistant, tight-weave fabric for both extra protection against the rooster’s beak and nails and to provide potential protection against hawks; and optional fixed or removable shoulder protector that provides shoulder protection without inhibiting the chicken’s ability to dust bathe or fly. Based on use of our hen aprons by our chickens, one of our Hen Saver hen aprons lasts as long as three or four of the other versions of hen apron that we have tried. 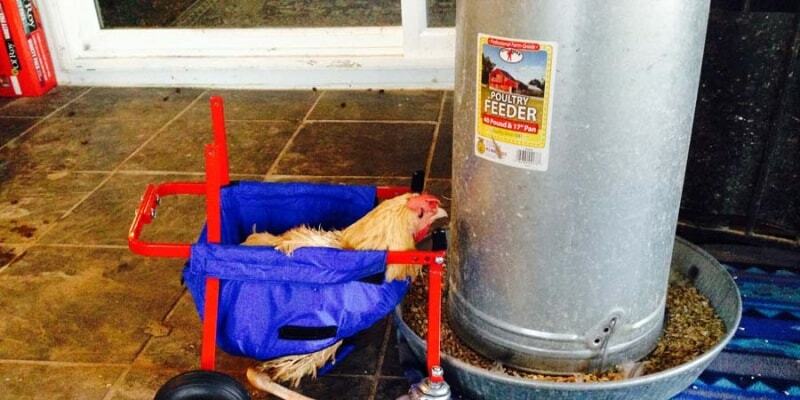 So how do we construct our Hen Saver hen aprons? We sandwich a layer of strong, 100% cotton batting selected for its ability to hold its shape, between two layers of sturdy, tightly woven 100% cotton fabric. The outside layers are carefully cut and sewn so that there are no bunches or ripples around the curved perimeter, and the batting can be fully secured around the entire perimeter with finished seams. There is a notch at the base of the apron to accommodate the chicken’s tail and provide a comfortable fit. The shoulder protector is of similar construction, with a notch for the neck and secured in such a way that the fabric does not rub the skin on the chicken’s neck and the protector lies comfortably over the hen’s shoulders without inhibiting her ability to dust bathe, jump, fly, or do anything else that a chicken likes to do. 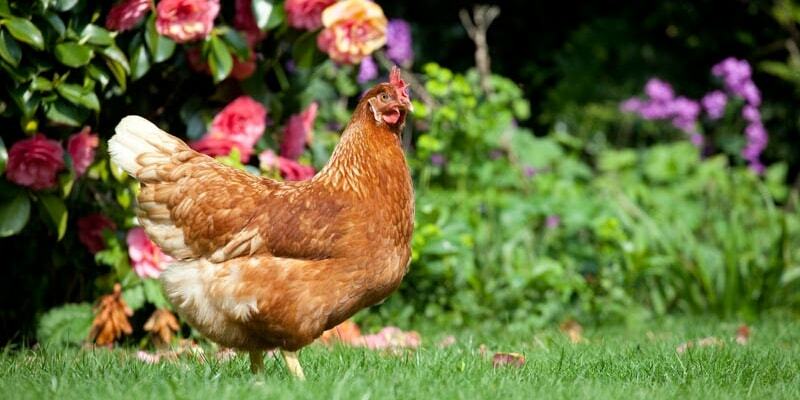 We make several different sizes of apron to accommodate most shapes and size of hen and rooster. Within two years, the Hen Saver was picked up by many small brick-and-mortar retail stores as well as large internet stores such as Amazon. Since then, we have designed, tested, and patented several unique products for our chickens, geese, and ducks who needed them, and then mass-produced these products for our customers. All of our products are made in America. We sew most items by hand (by our seamstresses across the U.S.), but some are manufactured in a factory located in Appalachia. All of our products are offered in stores and on Amazon, in a variety of sizes, colors and styles and we also offer custom versions (sizes, colors/patterns, embroidery etc.) in our retail internet store. Sales of each and every product supports the animals on Crazy K Farm. In fact, if you prefer to shop for our products on Amazon.com—or typically purchase any products on Amazon—please shop instead on smile.amazon.com and select Crazy K Poultry and Livestock as your charity. Amazon will donate ½% of the cost of every order to our non-profit animal sanctuary. Other products we produce include the following. Birdy Bootie—Our patented Birdy Bootie protective shoe is designed to provide superior coverage and cushioning for birds with injured feet or bumblefoot. Our bootie is made with an anti-bacterial, silver-infused layer over a neoprene material that offers superior cushioning. The neoprene is called NeoSponge, and is a porous, synthetic rubber material used in human orthotics and medical footwear. It is designed to flex, have great durability, and be resistant to breakdown by water. Our Birdy Bootie also contains X-Static, a pure silver fiber woven directly into the fabric. Silver is a naturally-occurring element that is used in topical antibacterial creams and ointments, so there are no chemicals or toxicity to the bird. X-Static claims to eliminate 99.9% of bacteria on the material in less than one hour of exposure and the anti-bacterial performance does not diminish over time. In warm weather, X-Static addresses evaporation by dissipating the amount of moisture in contact with a bird’s foot. Birdy Bra—Any crop problem that requires a bird's crop to be supported can be helped by the patented Birdy Bra. 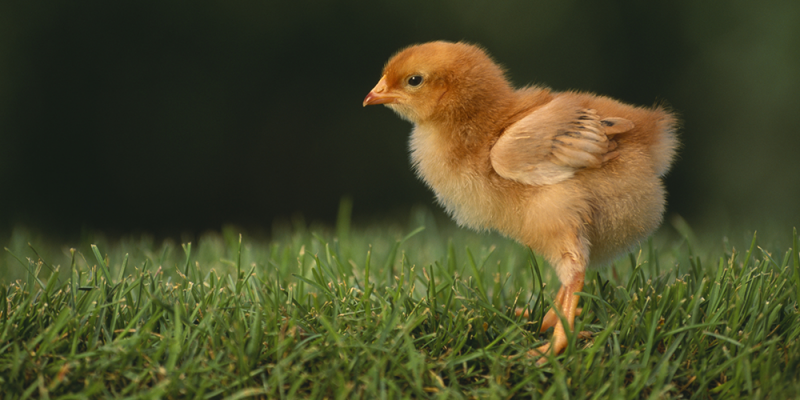 Chickens and other birds often suffer from crop issues such as crop stasis/slow crop (in which the crop empties very slowly) or pendulous crop (in which the crop has been stretched). The Birdy Bra not only supports a slow or pendulous crop, but can protect a bird's chest, which is a common location of pecking of hens by other hens. Once blood is drawn, the pecking can escalate. Hen Holster—The patented Hen Holster combines a comfortable harness design with a well-fitting diaper that contains a leak-proof, reusable inner pocket. The shape of the Hen Holster channels droppings away from the bird, even when the bird is perching or lying down. A handy D-ring on the back enables an owner to easily connect a leash to take a chicken for a walk.